When you venture out into the outdoors on your camping trip it is important that you not only prepare in terms of food and water but also in terms of surviving the sometimes harsh and challenging elements. In the summer months when the temperatures get particularly high, the shade can be in short supply, which means that if you do not have the appropriate cover, you may end up trapped in your caravan. 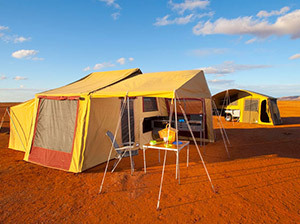 Fortunately for Australian adventurers and campers, here at Southern Cross Canvas, we have canvas annex options that are the perfect solution and will ensure that your camping experience is not limited by the blazing sunshine. We are an Australian owned and operated family business based in Bayswater North Victoria and we have been supplying preeminent canvas products to our customers for the last 35 years. All of the canvas products you find on our site are Australian made, of the highest quality and designed to withstand the harshest of environments. Our camping goods and accessories are renowned for being of the highest standards of manufacturing, which means our customers have peace of mind that when they buy from us, they will receive a high-end product that is built to last for many years to come. 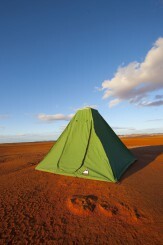 Camping has become one of the preferred holiday options for many Australians in recent years and so the market has responded with a variety of products, all made from different materials. However, when it comes to material that will sustain over a number of years there really is only one choice. A canvas product is much more durable than say nylon. It is a much tougher material that will stand up to harsh weather conditions for much longer than other materials. What we at Southern Cross Canvas love is to sit out and enjoy a meal, getting the best of the warm air while being protected from the midday sun by our canvas annex. For those who like to hit the road during the colder months of the year, a canvas tent or annexe is a much more suitable product. The material works well in all seasons, so regardless of when the urge grabs you to get away from it all, with your canvas products you know they will hold up against the cold. Also, should you accidentally tear it or create a hole this is much easier to fix and restore to its former functionality. 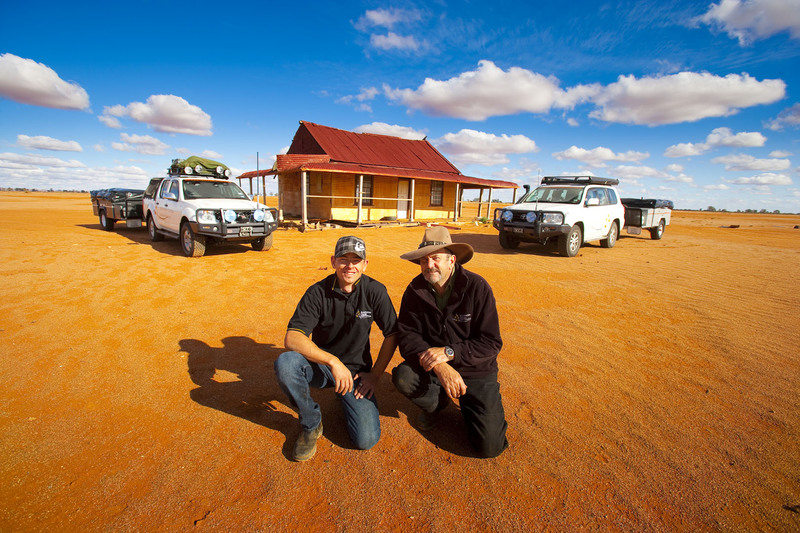 At Southern Cross Canvas we are confident that you will find the perfect canvas annex for sale among a range of other products including, touring tends, roof rack bags, swags, camper trailers, UTE canopies and, of course, tents. Our friendly, highly knowledgeable staff are on-hand to assist you in any way they can, so even if this is your first time to invest in camping gear, rest assured that we will walk you through the process and make sure that together we find the perfect products for you. For those who cannot drop into our store, feel free to download our catalogue and shop online. Visa, MasterCard and Paypal are all accepted, and we are always happy to take your calls or respond to emails. The adventure begins at SourthernCrossCanvas.com.au, where you will find the best canvas camping products in Australia ready and waiting. 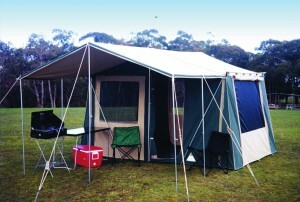 Southern Cross Canvas also offers high quality Swags, UTE Camping Canopies, Cabin Tents, Camper Trailer Tents, Caravan Annex & many more Australian made canvas products at best prices. You can get in touch with us today by giving us a call or sending a message through our website. We’ll get straight back to you.